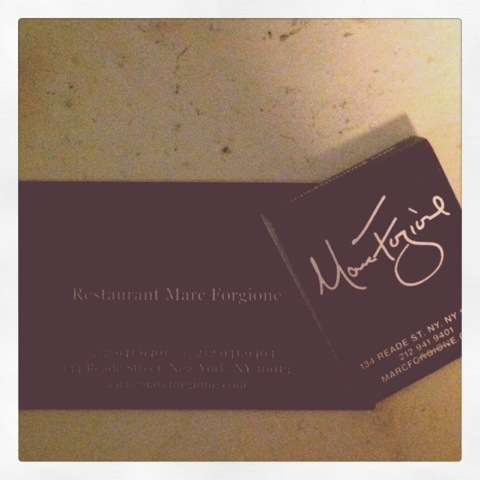 Last night my lady and I had dinner at the beautiful, and extremely decadent, Marc Forgione Restaurant. Some of you may know Marc as the last winner of Iron Chef. Yeah, he’s the man. Main course: a whole chicken, roasted potatoes, and broccoli rabe. 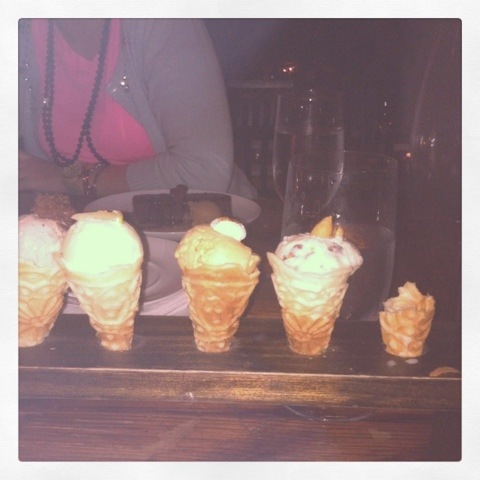 I had five different ice creams. Peanut butter, candy bar, lemon ginger, appolonia, and I can’t even remember the other one. Sheesh! We also had chocolate brownie, an incredible apple souffle with caramel drizzle, and a pumpkin terra cotta that may have been on of the most amazing dishes I’ve ever tasted. Oh, and bourbon hot chocolate. Dang, I might have to check that place out. Great photo. Carla and I need to come up there anyway.